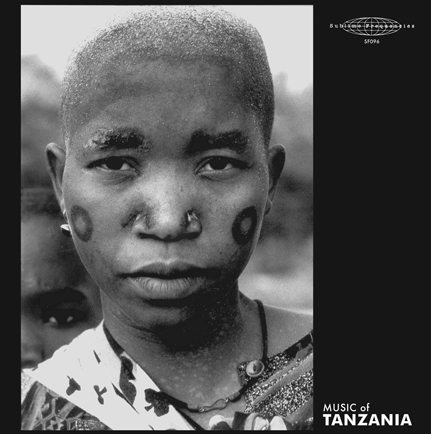 Music of Tanzania is a spectacular collection of field recordings gathered by Laurent Jeanneau between December 1999 and March 2000. This debut volume of Sublime Frequencies’ exploration of indigenous Tanzanian music compiles sacred and profane songs and dances of the Hadza, Datoga and Makonde people. Highlights include stoned ecstatic dancing in a Hadza encampment; a drunken celebration of preteen sexual initiation from a Makonde fishing village; baboon imitations performed on the malimba; electrified Islamic trance percussion; and useful tips for amateur hyrax hunters. Many of these poignant, exhilarating performances come from dwindling minority groups whose way of life stretches back to the Stone Age, and who are capable of creating breathtaking music with anything from agricultural tools to tin cans and plastic tubes. Laurent Jeanneau is absolutely fearless in his pursuit of rare, exceptional and vibrant performances. He views his ongoing documentation of ethnic minority music as an act of resistance to globalization, state-sanctioned “peasant traditions” and cultural homogeneity, and accordingly spends months living under harsh and dangerous conditions in order to capture impromptu performances in their everyday cultural context. Using this method, Jeanneau has self-produced almost 100 albums preserving threatened musical traditions from some of the most remote regions on earth, in addition to compiling multiple volumes for Sublime Frequencies. This limited edition 2LP tip-on gatefold package includes striking photographs by James Stephenson and detailed liner notes by Jeanneau.